Dry Eye – a Thing of the Past? Have a movie studio audition? Need to meet a presentation deadline? Attempting to complete a lengthy assignment? Out of nowhere, you suddenly feel burning, grittiness, stinging, redness and watery eyes, and you don’t know what to do. In any one of those circumstances, people rely on their eyes to look or feel their best while performing optimally. All these symptoms mean that dry eyes may be ailing you. When do you need to address these issues? Some patients are more tolerant to the mild discomfort while others want to constantly rub their eyes. 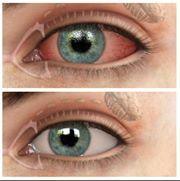 What triggers dry eye syndrome? Common causes include medications, age, hormone fluctuations, major medical conditions, as well as environmental situations. As a patient gets older, his or her body’s ability to produce tears diminishes. In addition, dryness problems are exacerbated by the frequent use of the following common medications: blood pressure drugs, a class of anti-depressants called SSRIs, anti-histamines and decongestants. Another potential contributor to dry eyes include major medical conditions, like diabetes, rheumatoid arthritis, lupus, scleroderma, Sjogren’s syndrome, thyroid disorders and vitamin A deficiency. Environmental circumstances, such as areas with low humidity, like Los Angeles, or places with high wind or cooling and heating fans, can also contribute to dry eye syndrome. If you travel often, you are well aware of this phenomenon. In fact, the fuselage of a plane is the driest place on the earth. But no need to soar above the clouds to experience the irritation, just sitting at your workstation at the office or in a classroom can contribute to dryness. Why is this? When we are focused on any screen – whether a computer, a laptop or a tablet – we blink less, and consequently, our tears evaporate at a quicker rate than normal; thus, leading to the unwelcome symptoms mentioned above. So what remedies are available? With proper diagnosis and personalized treatment, relief is well within reach. Depending on the severity of the condition, an optometrist or ophthalmologist will formulate a specific treatment strategy for you. Here are some treatments to consider: stay hydrated, use artificial tears (some drops are better than others, ask your eye care professional), warm compresses, punctual plugs, anti-inflammatory drops (depending on the precise reason or onset of the dryness), and oral fish oil supplements. No need to suffer alone. At Beverly Hills Optometry, we provide you with the highest eye care that your healthy eyes deserve. Dr Kambiz Silani is therapeutically board certified in the detection and treatment of eye diseases. He completed his studies at the University of California, Los Angeles (UCLA) with a background in psychology, sociology, and pre-optometry. He graduated Beta Sigma Kappa from Western University College of Optometry, with an emphasis in ocular disease, optometric rehabilitation, and Neuro-optometry. 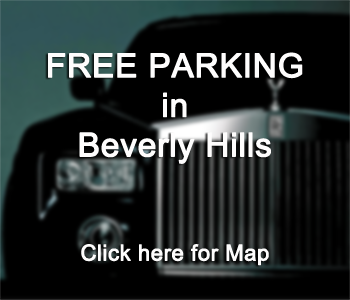 Dr. Silani owns and operates Beverly Hills Optometry. They provide diagnostic testing to ensure their patients receive the unsurpassed level of eye care. Beverly Hills Optometry emphasizes preventive, therapeutic and developmental care to allow patients to achieve their full potential.